Edinburgh’s award winning Indian restaurant, Khushi’s, has received local press coverage following the launch of ‘Khushi’s on the move’. This specially commissioned mobile trailer has been designed specifically to offer food on the go during the Edinburgh Festival and will be situated in George Square throughout August. 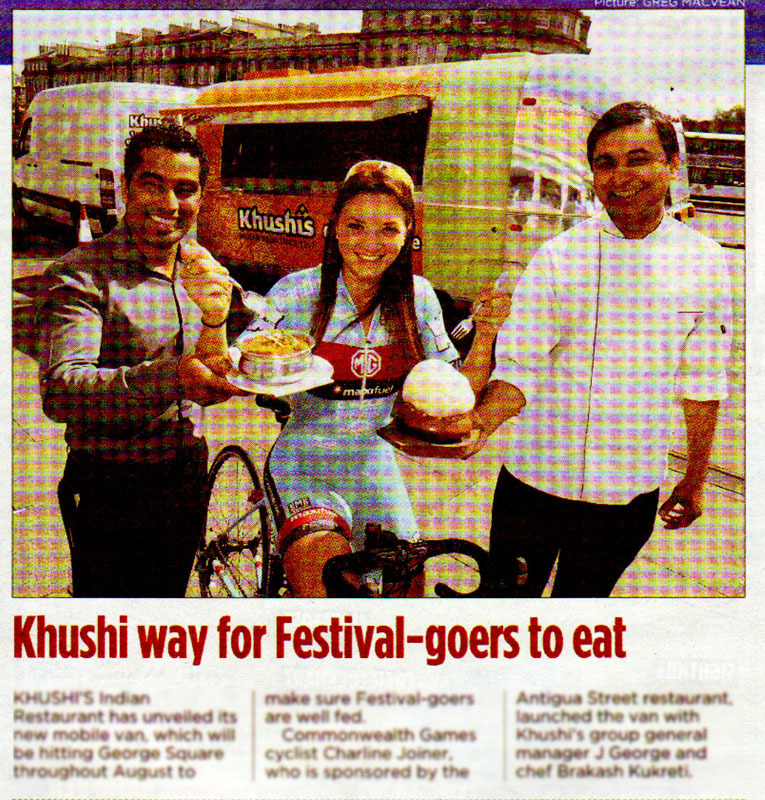 Edinburgh’s Evening News documented the launch of the trailer, in which Khushi’s endorsed, Commonwealth Games cyclist, Charline Joiner was present along side general manager, Jaimon George and chef, Brakash Kukreti. The Edinburgh Evening News is one of Scotland’s leading regional newspapers, reaching around 32,000 readers in the Edinburgh and Lothian area. This coverage provides a timely boost for the restaurant in the lead up to the busiest time of the year as thousands of hungry festival goers will flock to the streets. The coverage was achieved as part of an ongoing PR campaign by Holyrood PR- the full story is in the original press release.